In my post Are you too helpful with your children? I wrote about how we can inadvertently reinforce beliefs of helplessness when we’re too quick to step in and give our children a hand. For some parents, or for some of us at different times, however, we hinder our children by not being supportive enough. Now before you get confused, let me clarify what I mean. In today’s world, especially with the constant flow of information, it’s easy to have expectations of what our children “should” do, what they “should be” capable of, and how they “should” behave. Basically, an expectation is a judgment about what is “right,” “normal,” or “customary.” Even if they’re based on “normal” or “typical” data, expectations themselves are merely reflections of our beliefs. When our expectations are met, we tend to feel at ease and we have an appreciation of our child right where he is. Conversely, when our child fails to live up to our expectations, we tend to feel separating emotions like disappointment, frustration, anger, fear, or resentment. Expectations make it easy to have our love be conditional — when our child is as he “should” be, we feel happy and communicate our pleasure; when our child isn’t doing what he “should” be, however, our negative feelings can come across as judgment and criticism. We can fall into the expectation trap at any time — reading about developmental milestones, hearing stories from our parents about when we learned to do such-and-such, while watching another similarly-aged child on the playground equipment adjacent to our child, or thinking back to how our other child was at this age. We can form expectations from our own genuine wants — a desire to sleep through the night may turn into an expectation that our child wean or learn to stay in her own room. Regardless of their origin, expectations aren’t positive. Their effect is the opposite of what happens when we are too helpful with our children. I believe that expectations pressure our children, put a crimp in their “childishness,” and develop in them a fear of missing the mark. 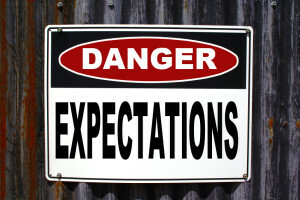 Basically expectations are demands — they set up “okay” and “not okay” in terms of behavior, yet they generally end up feeling more like a choke hold for our children and lead to beliefs about their essential loveability and worthiness. And for we parents, expectations make it easy to become more of an “enforcer,” “judge,” or “critic,” than a leader, nurturer, or guide. Certainly not the relationship I work to cultivate with my daughter. Are expectations getting in your way of connecting? While I think that all of us sometimes fall into the expectation trap, it may not be a problem area for you. To gauge whether or not expectations are negatively affecting your family consider these questions. Do you find that you repeat yourself when making requests of your child? Does your child seem to “need” a lot of help with certain tasks? Do you feel irritated, resentful, or frustrated with your child’s “inability” to do certain things for herself? Do you feel irritated, resentful, or frustrated when your child does things she “knows better” than to do? Are you hesitant to offer assistance (when requested) for things that you know your child can do? Do you have meltdowns (or narrowly avert them) at transition times (e.g., getting ready for school, bedtime/naptime) or with specific activities (e.g., meals, grocery shopping or other errands)? If you responded with a “yes” to any of these questions, you might benefit from taking a step back to see if you’re expecting more from your child than she can readily or easily give. See if you can spot patterns or get other clues into how expectations may be hindering you rather than helping. 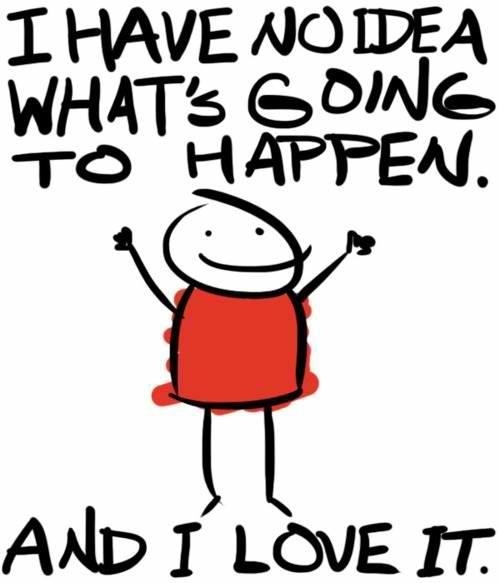 I think the best route to take is to expect nothing from our children (or anyone else, including ourselves). Now before too many of you raise your voices in protest, let me offer the alternatives I suggest. Model the behaviors you want to cultivate in your children. If your vision is that your child is grateful, generous, and gentle, determine what behaviors demonstrate these qualities and then live them. Rather than asking your daughter, “What do you say?” (expecting her to say “Thank you” or “Please”), say “thank you” and “please” when you speak. The saying goes that our children learn more from what we do than what we say, so it’s a much more effective use of your time to model behavior instead of teaching/preaching it. Ask for what you’d like to have happen. It’s fine to make requests and to support your children in behaving in specific ways. The distinction here is to keep yourself in the requesting space versus the demanding space (expectations=demands). “We use gentle touch with each other,” “We ask someone before using something that belongs to them,” are all fair reminders. When offered with anger, harsh tones of voice, or the energy of irritation, however, they’ve turned into personal criticism of our child rather than friendly reminders. Give children more space and time than you think is necessary. We’re adults, we have agendas, “to-do” lists, and schedules that we want to follow. Our children also have priorities — many of which we unconsciously undervalue, especially when they conflict with our objectives. It may take you 25 minutes to shower, grab a bite to eat, and head out the door fully prepared for an hour at the park. Your son, on the other hand, may need 25 minutes just to shift out of what he’s presently doing and begin to be ready to get ready to go to the park. Doubling or even tripling your preparation time cushion can give everyone more breathing room and make it less easy to fall into the expectation trap. Turn expectations into opportunities to practice. If you’re working to support your son in being responsible for having all his stuff ready for school (rather than you or your spouse doing it all), break down the activity and make it a medium-term experiment. First prepare your son for the journey, “Hey Sam, Dad and I want you to start being in charge of getting your stuff ready for school each day, so we’re going to start working on it each night.” That first night maybe you and Sam simply sit down and make a list of what the “getting ready” tasks are and then do them together (or he does one and you do the rest). For the rest of that week at dinner, ask Sam to choose one of the tasks to do on his own. You can acknowledge his efforts with simple observations and thanks, “I appreciate how you’ve gotten your school clothes set out each night before school. It really helps our mornings be more fun, don’t you think?” The second week you can invite your son to choose two tasks to do, or invite him to be the “assigner” of tasks instead. However your experience unfolds, let it be an experiment with no expected outcomes so that you can each experience it as it unfolds and proceed as seems appropriate. Whatever our reasons, many of us are expectation makers for ourselves, for others, and even for life in general. We want so much for things to go a certain way and feel let down when reality has other plans. Though it can take practice and patience, we can let go of our habit of expectation making and start trusting ourselves, others, and life to turn out okay without our demands. Here’s some of what you might experience once you become less expectation-focused. You have more peace and contentment. When you don’t have a picture of how life “should” be, it’s easier to be comfortable with how life is. If your daughter wants to talk to Grandma on the phone, fine. If she doesn’t, also fine. You have more compassion. Once we have expectations, we ultimately become a judge who decides “right” and “wrong.” When we don’t have expectations, it’s easier to see the humans around us (and within us) and notice where they are in the present moment. With this greater understanding comes more flexibility to be and do what the present moment calls for rather than reacting to some script you’ve memorized in your head. You have more fun. Though this is true of any relationship in which you drop expectations, you may notice this most with your children and with yourself (I’m a recovering perfectionist. Trust me, I know about this!). 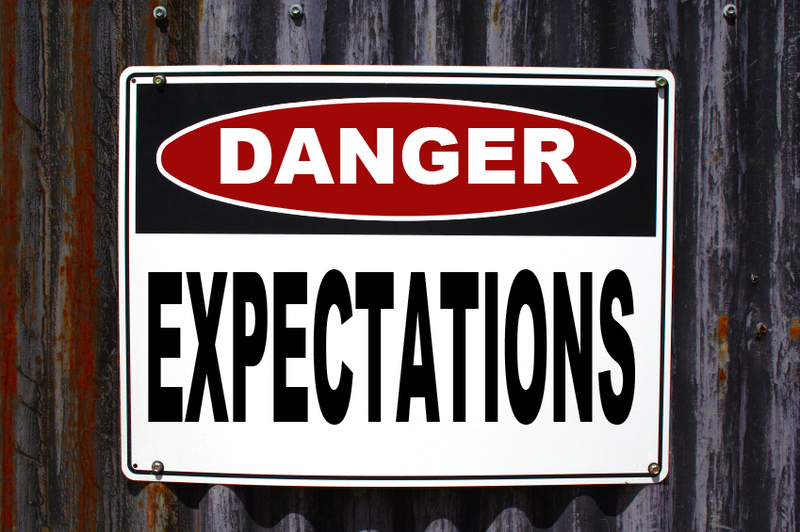 As mentioned earlier, holding expectations leads us to behave as a judge (or a drill sergeant, nagging shrew, nitpicking boss, or stern police officer). Though many of us enjoy delusions of omnipotence, having expectations and then reacting to how they ultimately play out in reality is an exhausting, joy-sucking, and connection-destroying task. I’d love to hear about your own experiences with expectations — how it felt if your parents did this with you, what happens for you when you do it with your beloveds, why you’ve held onto expectations or let them go. Drop a line in the comments below or post your comment to facebook via the link below and let’s chat! Thank you, Kelley! As someone who strives to help us be with our children in ways that are healthy for them and for us, I’m glad to know my ideas resonate with you.